In my final year of sacred service learning, I’ve returned to the religious school classroom. Last I was here, a fledgling second-year, I faced many difficult challenges as a teacher, learner, and leader. Now I find that my work with young adults, most of whom are about to become Bnai Mitzvah, has transformed into a rewarding partnership. For the last several weeks we have been exploring the book of Judges at Temple Sholom’s religious school. 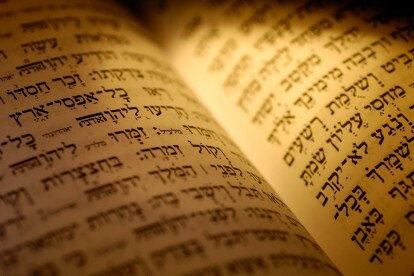 Judges is an often overlooked part of the Tanakh, a difficult text which deals with violence, xenophobia, and the repeated failure of the tribes of Israel. Alhough my students don’t get this reference, Judges might best be described as the “Game of Thrones” of the Hebrew Bible. Complete with stories of child sacrifice, terrible violence, and the triumph of the wicked over the righteous. At the core of the book of Judges lies a metaphorical spiral. In the center of the spiral stands Moses, the Torah, and redemption from slavery in Egypt. This moment is the ideal that all further redemptions will attempt to imitate. Yet they are doomed to fail since our later redemptions can’t help but get further and further away from this ideal form as they walk the spiral’s path. The judges, war leaders for the disparate tribes of Israel, start out as heroic figures, yet in later generations end up as debauched and dangerous as the forces that they once opposed. The people of Israel similarly fall into patterns of worse and worse idolatry, falling farther and farther away from the promises that their ancestors made as they entered into the land. There are four stations on the spiral, corresponding to the four cardinal directions. At the top of the spiral, north, is the fall of the tribes of Israel. “There was no King in Israel” says the text, and so every person does as they will. They attach themselves to foreign gods and go astray. As the spiral continues and we reach the westernmost point, an oppressive force is sent by God and allowed to rise to dominance over the people of Israel. At the southernmost point, the people realize how far they have fallen and call out to God for redemption. As we climb up from the depths, a judge appears, a war leader who leads the people back to favor with the divine. The judge may be the recipient of miracles but, unlike Moses who led a revolution that remained nonviolent until the very end, the judges’ authority ultimately comes through their ability to destroy the enemies of the tribes in violent conflict. Victory is assured by the will of the divine, it is marked at our eastern point, but the people fall into complacency again once they return to the northernmost point and the spiral repeats. My students had questions. Some of the questions were about the stories, others were for clarification, and others were theoretical. “What happens if you aren’t being bad? Do you still get punished?” or “If you don’t live at home anymore but your land gets taken over, do you get taken over too?” Great questions that showed me, as their teacher, that something was clicking and that these ancient stories of our tradition were finding a place in their thoughts. I know the answer to this question. The rabbinic commentaries and the authors of the prophetic books have a clear ideology at play in the book of Judges. A centralized authority in the form of a king and a centralized place of worship in the form of the Temple will solve all of these issues. The spiral will vanish as soon as David’s line is established and Solomon builds the Temple in Jerusalem. Different problems will arise, certainly, but not this endless spiral of violence and failure. But my student’s question “Are we still in the spiral?” was greater than that. This was a student who had internalized what we had just spent several weeks talking about. They looked around at a world which seemingly grows darker by the day, examined Jewish history and our tales of persecution, and saw themselves in the text. There is no greater moment for me as a teacher than to succeed in having a student see the text as personal and private narrative. Except, perhaps, to have my own answer shaken. When my student asked “Are we still in the spiral?” it occured to me that, while I knew the answer, I didn’t “know” the answer. How could I answer except by laughing, celebrating, and examining a new truth that they had presented to me. My student taught me, and continues to teach me, just as I teach them. As second-year students we are taught that “[t]he teacher is the most important learner in the classroom.” Sometimes we are brought back to basics. As I start my journey toward the end of rabbinical school and the beginning of my rabbinate, it is a pleasure to be reminded of the basic lessons instilled in our training. Teaching is a partnership. Like all good partnerships, it requires a willingness to be open to the other.